During the four decades of the communist regime in Czechoslovakia a vast literature on working-class movements has been produced but it has hardly any value for today's scholarship. This remarkable study reopens the field. 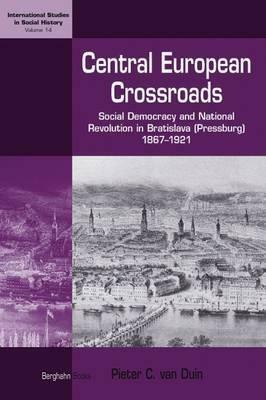 Based on Czech, Slovak, German and other sources, it focuses on the history of the multi-ethnic social democratic labor movement in Slovakia's capital Bratislava during the period 1867-1921, and on the process of national revolution during the years 1918-19 in particular. The study places the historic change of the former Pressburg into the modern Bratislava in the broader context of the development of multinational pre-1918 Hungary, the evolution of social, ethnic, and political relations in multi-ethnic Pressburg (a 'tri-national' city of Germans, Magyars, and Slovaks), and the development of the multinational labor movement in Hungary and the Habsburg Empire as a whole.